Ḥasan Baba, with the makhlaṣ (“[poetic] pseudonym”, Bosn. postojani) of Qāʾimī (“steady, constant, persistent”), also known as Hasan Kaimija, was one of most celebrated Bosnian Ṣūfī shaykhs (spiritual master) and poets of the eleventh/seventeenth century. What is known of his life and work affords a rare glimpse into contemporary Ṣūfīsm (taṣawwuf), the mystical dimension of Islam, in Bosnia. The shaykh’s resting place remains an important “place of pilgrimage” of Bosnian Muslims to this very day being endowed with a symbolic efficaciousness that perhaps also reflects the expectations and the hopes of the members of his community. Ḥasan Baba thus represents an example of a saintly man whose spiritual charisma was not only revered during his lifetime but who continues to be a subject of ritual veneration which endures and radiates across the western Balkans. Information about the shaykh’s life is quite scarce and is based more on circumstantial evidence and oral traditions than on written sources. Born in 1039/1630 in Sarajevo, where he acquired his primary education, he went to Sofia to join the well-known Šejh Muslihudin Užičanin (d. 1052/1643) of the Khalwatiyyah (Turk. Halvetiyye) ṭarīqa (lit. “path”). There he remained until he obtained the idžazet (Ar. ijāza, lit. “permission, license, authorization”, the certificate from a higher authority authorising the murīd (“aspiring novice, seeker”) to transmit a certain subject or body of Islamic knowledge that was studied “at the feet” of the shaykh) and iršad (Ar. irshād, “spiritual guidance”). Ḥasan Qāʾimī is said to have then travelled to Istanbul and Konya. Later he also became attached to the Qādiriyya ṭarīqa and after his return to Sarajevo he became šejh-mejdan of the renowned tekije (Turk. tekke, “Ṣūfī lodge”) of Ḥājjī Sinān Āghā in Sarajevo (fig. 1). The latter was constructed in 1047–9/1638–40 and subsequently restored on several occasions. Ḥasan Qāʾimī was reputedly also the shaykh of another tekke located in the Ajaz Paša mahala (Ar. maḥalla, residential quarter) on the right bank of the Miljacka River near the lower Ćumurija Bridge in Sarajevo, which was named after him. Originally his private house (and birthplace), it was transformed into a tekke in 1075/1664. Ḥasan Qāʾimī seems to have been in easy circumstances and the tekke is said to have been quite beautiful; on the ground floor a storeroom was located while on the first floor there was a samāʾkhāna (central ritual hall) as well as two chambers. The land that was endowed to the tekke stretched to the Miljacka River. In his twelfth/eighteenth-century chronicle the prominent local author Muṣṭafa ibn Aḥmad Bašeski (Bašeskija) Ševki (d. 1223/1809) states that this tekke belonged to the Khalwatiyya fraternity. It is of significance that Ḥasan Qāʾimī’s wife was among the so-called “Sisters of Rum” (Bacıyân i Rûm, locally known as Badžijanije), a mystical organization of women with roots in Asia Minor that is mentioned in fragmentary references across Bosnia. Bajram Salih Kalaba (Bayrām Ṣāliḥ Qalāba) mentions in his pilgrimage guide of Sarajevo, published in 1276/1859–60, that the grave of Qāʾimī’s wife was located in the backyard of the Qāʾimī Baba Tekke. There it served as zijaretgah (Turk. ziyāretgāh), a holy place which marked the continuing presence of a saint or “friend of God” (evliya, Ar. awliyāʾ), where ziyāret is performed – denoting the practice of pilgrimage to her resting place with concomitant acts of veneration. Hence, even though Kalaba does not mention her name, she was clearly recognised as a spiritual master (with a deredža (degree) in spiritual advancement). Muhamed Hadžijahić has conclusively shown that, since Ḥasan Qāʾimī acted as šejh-mejdan of the Ḥājjī Sinān Tekke, his purpose for transforming his private house into a tekke was for his wife to act there as vekil (Ar. wakīl, “deputy, representative”). The wakīlkhāna was later instituted as a specifically women’s tekke. It consequently predates the tradition of the Qādiriyya in Sarajevo to establish dhikr assemblies (majlis dhikr, Ar. majāles al-dhikr) for women, a practice which continues to this very day in the Qādirī-Badawī tekke located in the Čeljigovići mahala in Sarajevo. Hadžijahić convincingly argues that Qāʾimī’s wife must have passed away before her husband left Sarajevo towards the end of his life, allegedly after having become involved in the Sarajevo rebellion of 1093/1682–3. 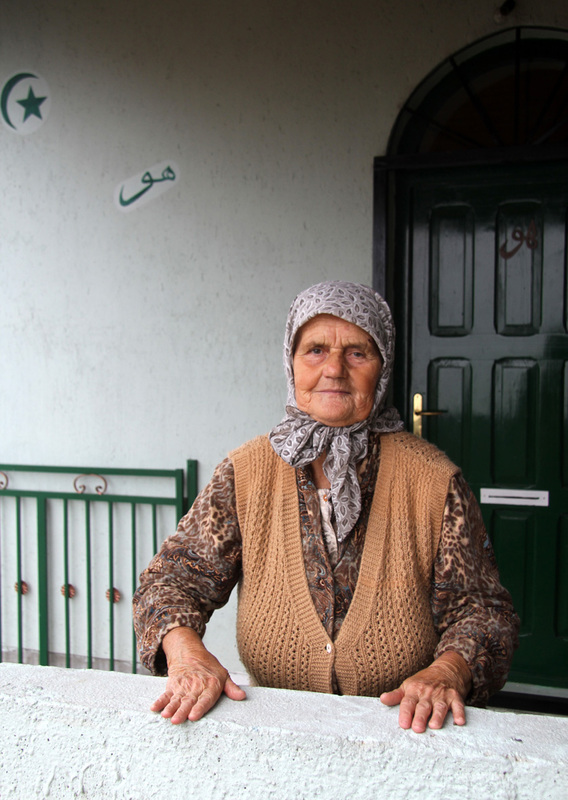 It seems that after her death the tekke ceased to serve as a wakīlkhāna for women dervishes. 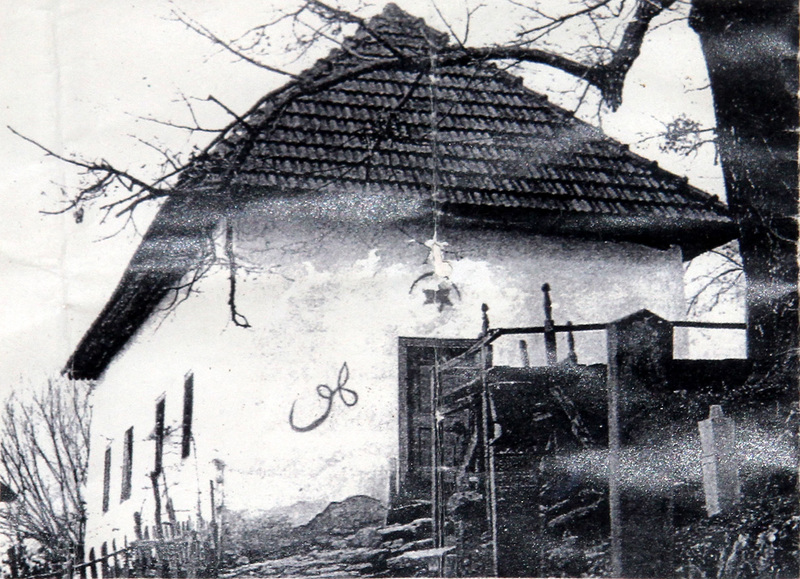 Less than three decades after its construction, the tekke was burnt to the ground – like most buildings of Sarajevo – during the 1109/1697 raid of Sarajevo by Austrian troops commanded by Prince Eugene of Savoy. It took over half a century before the tekke was rebuilt by the Sarajevo qāḍī Ḥājjī Muhamed Zihnija in 1176/1762, but just over a century later in the great fire of 1296/1879 it was once again destroyed. However the cult of Qāʾimī’s wife had not disappeared and pilgrims continued to seek blessings (baraka) at her tomb since Kalaba included her grave in his 1276/1859–60 compilation of places of worship in Sarajevo. Ḥasan Qāʾimī’s poetic work comprises two Dīwāns in Ottoman Turkish as well as poems (qaṣīdas) written in alhamijado (Bosnian Slavic written in Arabic script). The first Dīwān contains a rich collection of mystical verse. These poems of religious and mystic inspiration were mainly intended for preparation at sessions of the dhikr, “recollection” of God, as a principal prayer practice within the tekkes of the mystic orders. Many of these are sung as ilāhīs, “divine [hymns]” (Bosn. ilahijes), during the gatherings of the dervishes encouraging the participants by their rhythm as by their words to reach a state of exaltation. You have come into the arena, O heart! Try to attain Unity with audacity, today! You must become the moth [pervāne], today! Abandon your life in sacrifice, today! He thereby alludes to the topos of baqāʾ (“subsistence, survival”) through fanāʾ (“passing away, effacement”) referring to the stages of the development of the seeker in the mystical path of self-recognition (gnosis), in other words, the return of the self to the Self. This is described by the famous analogy of al-Biṣṭāmī of the sloughing of the outward skin of the serpent. By virtue of this unsheathing, the serpent gains new skin and thereby new life which is likened to the mystic’s final shedding of his “I” in fanāʾ. Hence in the same manner as the serpent sloughs its old skin and appears newly robed, the mystic annihilates his nafs (lower soul) and lives eternally by undergoing a metamorphosis. Do you know why you became like the light of the flame of uniqueness? The shawl and mantle (of the dervish) do not make the real man, attain the Essence and accept it! If one presses it has already been pressed; God [Bârî] is One [eḥad], Unique [vâḥid]! He has a penchant for Jesus [meylî oluben ʿIsâda], today. The maqām al-tajrīd refers to the wayfarer’s outward abandoning of the desires of this world that it is precursory to the maqām al-tafrīd in which the wayfarer inwardly rejects the compensation of this and the next world and thereby experiences an even purer oneness. The mystic wants to follow the example of Jesus (ʿĪsā), who for the Ṣūfīs represents a symbol of abandon from this world, and to leave this world and all profane attachments. In twelve names, one after another, he will designate the solace. The white falcon is our guide, the shaykh ʿAbd al-Qādir! Known by the makhlaṣ Basil al-Ešheb (Turk. Bāz-ül-Eşhen, Ar. al-Bāzi ‘l Ashhab, “white falcon”), ʿAbd al-Qādir al-Jīlānī will guide the mystics with the twelve names which affect the dervish in his approach of God. These represent the twelve maqāms (“stages of the soul”) which are postulated in the Qādiriyya. To each maqām dhikr one of the twelve names (al-asmāʾ al-ithnā ʿashar) is appropriate: Lā ilāha illā ’llāh, Allāh, Hū, Ḥayy, Ḥaqq, Qayyūm, Qahhār, Fattāḥ, Wahhāb, Salām, Quddūs, Wadūd. The first seven names (al-asmāʾ al-sabʿa) represent the maqāmāt of the Khalwatis. of the white falcon, our guide, the shaykh ʿAbd al-Qādir! ʿAbd al-Qādir’s family lineage (silsila) has been traced by hagiographers to Ḥasan, the eldest son of ʿAlī ibn Abī Ṭālib (c. 600 – 40/661), cousin and son-in-law of Muḥammad; hence the poet’s reference to the Prophet’s ehli bejt (Ar. āl al-bayt; sūras 11:73 and 33:33) as ancestors of the eponymous founder of the Qādiriyya. Greet and pray to those to whom God has said: “If you did not exist”! He must be humble (Qāʾimī) to the family of Muḥammad day and night! Be humble to all the children and all the friends (of Muḥammad), his four friends [Çehâr-ı yâr] and the deserving! For those of the invisible world [ricâl-ül-ġayb] and the friends who are numerous like leaves and flowers! The poet refers not only to the holy family (āl) that consists primarily of five members, the Prophet himself, ʿAlī, Fāṭima, Muḥammad’s daughter, the wife of ʿAlī and her sons, al-Ḥasan and al-Ḥusayn, but also to the four companions of Muḥammad (chahār yār), the “four rightly guided caliphs”, Abū Bakr, ʿUmar, ʿUthmān, and ʿAlī. To these Qāʾimī adds the “hidden wayfarers”, the people of the unseen spiritual world (rijāl al-ghāʾib), those who can communicate with God and with the angels, who know the hidden secrets and who can make them visible if they want. It will be through the “kindness and generosity of God” that the unbelievers, the Europeans, the Banū ‘l-Aṣfar (originally a designation for the Greeks, the term was later used for all Europeans), will be ultimately routed; these often graphically portrayed predictions (“The mountains, the rocks and the plains are stained with blood, look at these groans in agony”) are repeatedly found throughout Qāʾimī’s work. His work was much copied after 1878 when the Austrians extended their protectorate over Bosnia and Herzegovina, since Qāʾimī repeatedly alludes to the overall conquests by the Ottomans and the universal triumph of Islam. The second smaller Dīwān, entitled Wāridāt (“incomings, gains”), which he wrote in 1097/1685–86, contains qaṣīdas which are foretelling events based on onomancy (Bosn. ʿilm-i džifr, Ar. ʿilm al-jafr). In these he alluded to political events, such as the long campaign by the Ottomans for the conquest of Crete (Candia, Ottoman Kandiye) from the Venetians which was written in alhamijado. In the first qaṣīda of this Dīwān, he correctly predicted the date of the end of the war (1079/1669), which earned him great celebrity. Qāʾimī Baba is said to have been exiled from Sarajevo, reportedly after having become involved in the Sarajevo riot of 1093/1682, and to have settled in Zvornik, now located in the Republika Srpska, in northeastern Bosnia and Herzegovina, where he died in 1103/1691–92. According to one narration Qāʾimī Baba’s supposed banishment from Sarajevo is associated with one of the miracles (karāmāt) he is said to have performed. On the twenty-seventh night of the month of Ramaḍan, the holiest moment in the Islamic calendar, Laylat al-Qadr (the “Night of Power”, when the Qurʾān was first revealed), when he was a hodža (imām) in Sarajevo, he went to the mosque. Suddenly the wind blew and extinguished his lantern. Qāʾimī took a candle and held it towards the lamps that were burning high up on the minaret thereby lighting his candle. The people who watched this immediately recognised that Qāʾimī is a righteous man and a man of God. Realizing what he had done, he repented and said: “O what I have done! I discovered that I am a holy man.” Troubled by his own deed, Qāʾimī went into a tavern where he drank until the early morning. The people of Sarajevo were bewildered to learn that such a saintly man comported himself in such a manner and expelled him from Sarajevo to Zvornik. According to another legend Qāʾimī Baba was much loved by the people of Sarajevo and was accompanied by many people, in particular his disciples who did not want to leave him. As Hadžijahić has pointed out, when Qāʾimī arrived in Zvornik he stayed in a musāfirhana owned by certain begovica; since his wife had passed away before he left Sarajevo, he is presumed to have married the begovica at an advanced age. Qāʾimī is also known to have had a son (of the first or the second wife is not known), who should be noted as one of the Bosnian poets writing in Arabic. Numerous naẓīre (an Ottoman literary genre in which the textual practice of another poet is deliberately reproduced) pay homage to Qāʾimī’s poetic work and reflect the poet’s celebrity. The naẓīre of the late seventeenth-century Bosnian poets Gāʾibī Šejh Muṣṭafa and Muṣṭafa Mukhtārī, an imām of a mosque located in the Ajaz Paša mahala in Sarajevo, are particularly noteworthy. 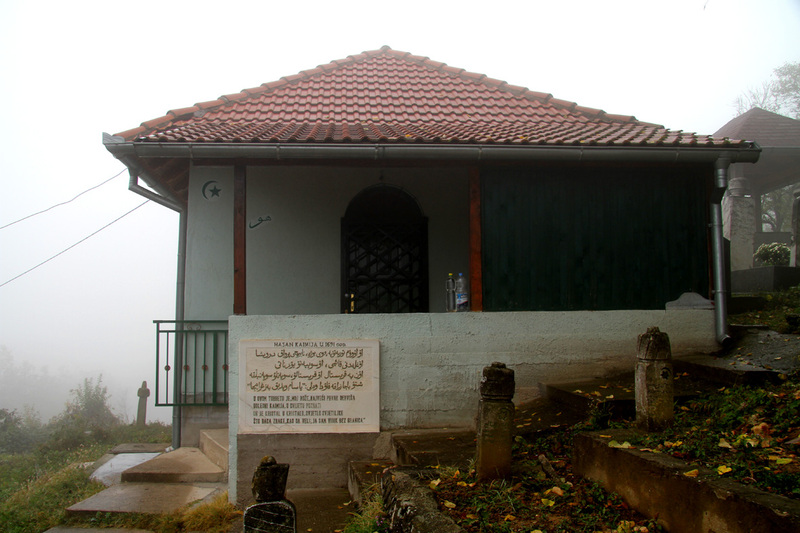 The shaykh was buried in a türbe (“mausoleum”) in Kula Grad to the west of the old town of Zvornik. The türbe was an unassuming small building, built of sundried brick and timber with a four-sloped roof, covered with tiles which previously used to be wooden (fig. 2). According to an extract of archival records displayed in the türbe, the silāḥdār Muṣṭafa Paša, son of the great merchant Ḥājji Sinān Āghā (either the father or the son was the builder of the renown tekke of Ḥājjī Sinān Āghā in Sarajevo), recommended the mutesarif (district master) of Zvornik, Meḥmed Paša, to build a Qādirī tekke next to the türbe (as stated in a firmān dated 1219/1805); yet no trace of the tekke has survived. The expenses of upkeep of both tekke and türbe were defrayed by the income of the waqf (religious and charitable endowment) generated by the rafts crossing the river Drina in Zvornik, a saltern in Gornja and Donja Tuzla as well as rafters in Brod and the small town of Derventa qadiluq. During the 1992–95 war in Bosnia and Herzegovina Ḥasan Qāʾimī’s türbe was completely destroyed by Serbian soldiers and has since then been rebuilt (fig. 3). A large, old linden tree situated next to the tomb miraculously survived the devastation (fig. 4). 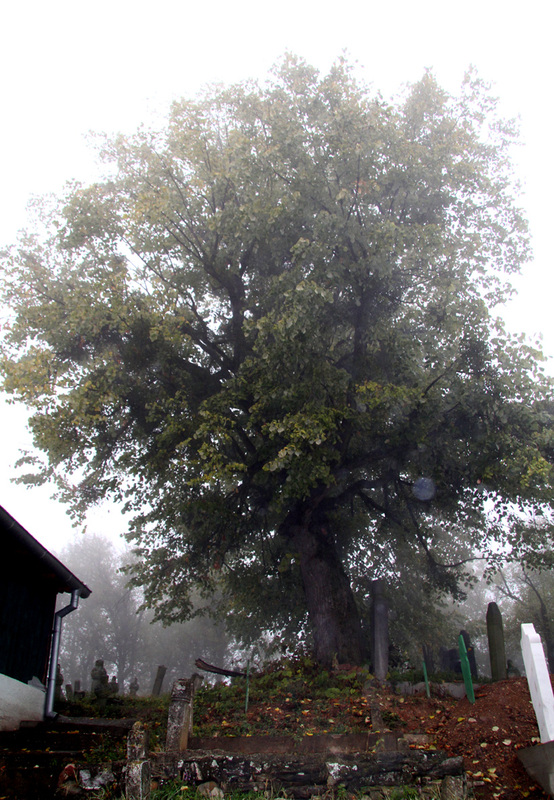 One of the most sacred trees in Bosnia, Linden trees are often the subject of local veneration and when ziyāret is performed at the türbe devotions may also be done to these sacred trees. The saint’s popular devotion and respect during his lifetime and the veneration thereafter continued to attract many graves that came to form a large cemetery surrounding the türbe. The visitors always respectfully approach the vicinity of the tomb and the blessed presence of the saint on foot. When arriving at the threshold of the tomb, they would adopt an attitude of humility. Before entering the tomb they would pay their respects to the threshold, often prostrating themselves and kissing the doorstep or the door frame to the right of the entrance. The threshold is regarded with great reverence as the liminal place par excellence leading from the profane to the sacred, opening into the funeral chamber and the sacred presence of the awliyāʾ. They would respectfully greet the saint before stepping over the threshold with the right foot first. They would then reverently approach the saint’s tomb in an attitude of supplication (niyāz), commonly devoutly make an effort to kiss the tombstones (or the ground before them) or at least touch them. Finally they would sit in humility at the foot of the grave. One can witness the pilgrims perform circumambulation (ṭawaf) three times around the tomb. On leaving, the pilgrims would perform the same reverential rituals in reverse without turning their back to the saint’s cenotaph. When visiting the türbe dervishes would accord the same respect to the tomb of the sanctified shaykh as when approaching a living shaykh or other leading member of their order. It is very fortunate that Ḥasan Qāʾimī’s türbe and its interior were carefully documented by Mehmed Mujezinović before it was raised to the ground two decades ago. His unique account of the türbe’s wooden partition is particularly noteworthy (fig. 5). It provides an insight into the importance attached to the ziyāra “tradition” of Bosnian Muslims and, in particular, to Ḥasan Qāʾimī’s türbe as place of pilgrimage. The latter was made of fitted beech shingles and divided the empty first room to the entrance of the türbe from the second part which houses the draped gabled cenotaph that marks the grave of the shaykh. The latter is framed by two simply cut tombstones without inscriptions, the grave stele is crowned with a three-dimensional representation of the headgear (tāj), enclosed by a simple openwork wooden grille and with ceremonial rosaries (tesbīḥ) placed on the cenotaph; further tesbīḥs for the use of the visitors hang from the railing of the grille (fig. 6). Derviš Meḥmed, dated 1250/1834–35; Hadži Meḥmed Sadik Sukuti Baba, dated 1250/1834; Sejid hadži Bekir-zade Aḥmed čauš dated 1269/1852; Hadži Derviš Meḥmed-beg Zvorničanin, dated 1276/1859–60; Derviš Ībrāhīm Fikrija, dated 1296/1878–79; Ḥamza, the son of Ībrāhīm, dated 1297/1879–80; Muhamed Enverija Kadić, who visited Qāʾimī’s türbe in 1314/1896–97, put his signature under the following: “Ḥasan Qāʾimī Baba passed away in 1103/1691–92.” Below another entry, which does not carry the signature of the author, the date 1110/1698–99 has been recorded. 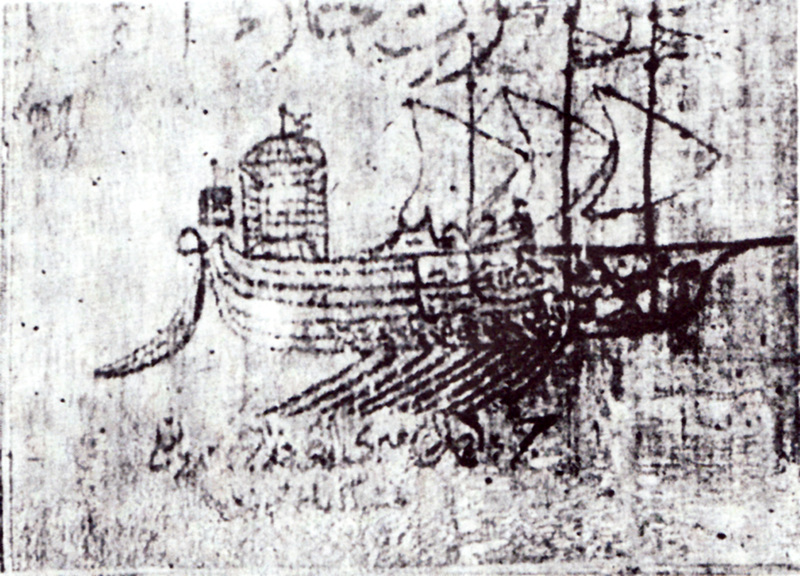 Several entries were skilfully inscribed in the form of a tughrā; and a certain Aḥmed Miri made a calligraphic composition of the Ashabi kehfa in Arabic letters in the form of a sailing boat (fig. 8). The composition refers to the Āl al-Kahf or the Aṣḥāb al-Kahf (the “Youths of the Cave” mentioned in sūrat al-kahf (the sūra of the Cave, 18:9–26), whom God enclosed in a cave where they sank into a miraculous three hundred and nine year sleep to shelter them from the depravity of the world. The story of the refuge from a hostile world is modelled upon the Christian legend of the Seven Sleepers of Ephesus and has enjoyed long-lasting popularity throughout the Islamic world. The simile of the companions’ miraculous “sleep” in a sacred space such as a cave (which could be replaced by other subterranean locations such as a “pit” or a well) has been a recurring motif in Islamic mysticism. Caves are traditionally seen as places of seclusion and meditation; in Ṣūfī thought they are often perceived as a place for withdrawal from the world as well as a symbol of initiation and of proximity to the divine. It is also well known that Muḥammad was prepared for prophethood and received his initial Qurʾānic revelation in a cave on Mount Ḥirāʾ where he used to retire for meditation. It was in the solitude of this cave, the lonely place of mediation (Ar. khalwa, Turk. halvet) in the dark, undisturbed in his concentration upon God, that he was blessed with the first Divine words. At the time of his emigration from Mecca to Yathrib (later called Medina) in 622 (in the episode known as the hijra) it was also in a cave that the Prophet sought refuge together with his companion Abū Bakr to evade the pursuers (sūra 9:40). According to Ṣūfī tradition, this was the place where Muḥammad introduced Abū Bakr into the mysteries of khalwa and the silent dhikr (dhikr al-qalb, “in the heart” and dhikr al-sirr, “of the innermost being”). Popular thought ascribes numerous miracles to Qāʾimī’s charismatic powers during his life and after his death. According to one legend, Qāʾimī stayed with the Djulbegović family in Zvornik. One day, when one of the members of this family had to go to war, Qāʾimī gave him a phylactery (pusul) with secret inscriptions which saved him his life. It is said that if one takes a vow in the name of Qāʾimī and recites the sūra Yāsīn (36), called the “heart of the Qurʾān” that is recited for the deceased or the dying and their benefit in the world to come, the vow will be fulfilled. The saint is said to also posses the sacred gift of healing of human ailments. A certain Hadži Ḥarbā who was very ill went to the evliya’s türbe in Zvornik and after offering his prayers miraculously recovered. It is also said that during the First World War, Zvornik and the region around it was protected by Qāʾimī. It is thanks to the powers of the evliya that no one was injured. Before the total demolition of the türbe during the 1992–95 war in Bosnia and Herzegovina, it housed six documents from the first half of the thirteenth/nineteenth century that relate to the setting up of the curator of the holy places, the keeper, or türbedār, and his revenues. The türbedār functions as a kind of intercessor for the pilgrims, instructs the visitors about the local etiquette of devotion and administers the alms (adak, nedhir). The first known türbedār of Qāʾimī’s türbe is Šejh Omer of Jedren (Edirne) in Eastern Thrace who also served as zāviyedār of the tekke in Zvornik. After his death in 1234/1819, the shaykh was succeeded by his son Meḥmed. It is interesting to note that one of the present türbedārs of Qāʾimī Baba’s resting place is a woman; Hiba and Šaban Šehmedović alternately take care for two weeks of the türbe (fig. 9). Mujezinović furthermore records several precious manuscripts and artefacts which were housed in Qāʾimī’s türbe before its destruction during the 1992–95 war which also resulted in their loss. These include a large-format Qurʾān copied by the calligrapher Meḥmed, the son of Ḥasan, who was the imām of the Kzlaraga džamija and a sibjan mualim (teacher at a religious primary school), in Belgrade in 1251/1835 as well as a hand-written manuscript on Islamic rituals transcribed by Ībrāhīm, the son of Abdulah, in the madrasa of Yahya Paša in Belgrade in 1213/1798. He also notes several antique ceramic candlestick holders, a few calligraphies (levḥas), a green flag with a beautifully worked tip made of tuč (very hard, heavy wood) that had survived in the türbe before its destruction. The only objects preserved in the present-day türbe are two ancient ceremonial weapons of choice that are characteristic dervish accoutrements and insignia, which are often displayed in the semāʾkhānas of tekkes: a traditional battle axe (tabar) bearing one crescent-shaped blade and a curving thin long handle as well as a halberd-like combat spear used for throwing or hurling with a pointed head surmounting paired lozenge-shapes of which the shaft is missing (fig. 10). “When (I saw that) martyrdom was not the lot of my spirit, I went immediately into (religious) seclusion and (entered on) a forty days’ fast. Because everything that this body does in seclusion it does with no regard to man or woman. O thou, distracted, death exists! Where are pride and shame? There is no God but He! Existence and total abandon [terk-i terk, “the abandon of the abandon”], then you will go and regain the lights. This is the (Islamic) tradition, know this, it is the miracle of the mysterious sword. It is an eternal promise of the Truth; through it the tyranny of the world will be removed! In the last verses of the qaṣīda Qāʾimī prophesises that Jesus (ʿĪsā) will come down at the same time as the Mahdī and help him to overcome the Antichrist (Dajjāl), the “deceiver”, who will come before the end of time and will let impurity and tyranny rule the world. They are the witnesses of this world through themselves; there exists nothing but this Oneness! von Asbóth, J., Bosnien und die Herzegowina. Reisebilder und Studien, Vienna, 1888.
von Asbóth, J., An Official Tour of Bosnia and Herzegovina: with an Account of the History, Antiquities, Agrarian Conditions, Religion, Ethnology, Folk Lore, and Social Life of the People, London, 1890. Balić, S., Das unbekannte Bosnien. Europas Brücke zur islamischen Welt, Cologne, 1992. Bašagić, S., Bošnjaci i Hercegovci u islamskoj književnosti [Bosniaks and Herzegovinians in Islamic Literature], Sarajevo, 1912, pp. 98–100. Bašeskija, Mula Mustafa, Ševki, Ljetopis (1746–1804) [Chronicle (1746–1804)], tr. and ed., Mujezinović, M., Biblioteka kulturno nasljedje, Sarajevo, 1968.
al-Bidlīsī, ʿAmmār ibn Muḥammad, Bahjat al-ṭāʾifa wa Ṣaum al-qalb, tr. and ed. Badeen, E., Zwei mystische Schriften des ʿAmmār al-Bidlīsī, Beirut, 1999. Birge, J.K., The Bektashi Order of Dervishes, London, 1937, repr. 1956. Brown, J.P., The Darvishes: Or Oriental Spiritualism, London, 1868, repr. 1968. Buturovic, A., “Sufi Orders and Movements: The Balkans,” Encyclopedia of Women & Islamic Cultures: Family, Law, and Politics, eds. Joseph, S. and Najmabadi, A., Leiden and Boston, 2005, pp. 761–762. Ćehajić, D., Derviški redovi u jugoslovenskim zemljama sa posebnim osvrtom na Bosnu i Hercegovinu. Posebna izdanja [Dervish Orders in Yugoslavia with a Special Focus on Bosnia and Herzegovina], Orijentalni Institut u Sarajevu 14, 1986. Clayer, N., Mystiques, État et societé: les Halvetis dans l’aire balkanique de la fin du XVe siècle à nos jours, Leiden and Boston, 1994. Dankoff, R., An Ottoman Mentality: The World of Evliya Çelebi, Leiden and Boston, 2004. Djordjević, T.R., “Kaim Baba,” Naš narodni život, 1st ed. Belgrade (10 vols. ), 1930–4, 2nd ed. Belgrade, 1984 (4 vols. ), vol. 2, pp. 127–133. Ekremov, M.Š., “Šejh Hasan Kaimija narodni tribun iz Bosne i hrvatski pjesnik iz XVII stoljeća [Shaykh Ḥasan Qāʾimī, a Popular Tribune of Bosnia and Croatian Poet of the Seventeenth Century],” Narod I, Sarajevo, 1933, pp. 30–54. EI² The Encyclopaedia of Islam, 2nd ed., 11 vols., Leiden, 1960-2005, Extract from The Encyclopaedia of Islam CD-ROM v.-1.0. Elmore, G.T., Islamic Sainthood in the Fullness of Time: Ibn al-ʿArabī’s Book of the Fabulous Gryphon, Leiden, Boston and Cologne, 1999. Frembgen, J.W., Kleidung und Ausrüstung islamischer Gottsucher, Wiesbaden, 1999. Goldziher, I., “Die Heiligenverehrung im Islam,” Muhammedanische Studien, 2 vols., Halle, 1888, repr. Hildesheim, 2004, pp. 275–378, 405–407. Gramlich, R., Die schiitischen Derwischorden Persiens. Die Affiliationen, Abhandlungen für die Kunde des Morgenlandes, 36,1, Wiesbaden, 1965. Gramlich, R., Die schiitischen Derwischorden Persiens. Brauchtum und Riten, Abhandlungen für die Kunde des Morgenlandes, 45,2, Wiesbaden, 1981. Gramlich, R., Die Wunder der Freunde Gottes: Theologien und Erscheinungsformen des islamischen Heiligenwunders, Freiburger Islamstudien 11, Wiesbaden, 1987. Hadžibajrić, F., “Tesawuf tarikat i tekije [Taṣawwuf, ṭarīqa and tekke],” Islamska misao 6/I, Sarajevo, 1979, pp. 18–20. Hadžijahić, M., Hasan Kaimija i njegovo turbe na Kuli u Zvorniku [Ḥasan Kaimija and His Türbe in Kula in Zvornik], ed. Hadžić, A.,Zvornik, 1966. Hadžijahić, M., “Hasan Kaimija,” Stara književnost t. I, Sarajevo, 1974, pp. 243–245. Hadžijahić, M., “Badžijanije u Sarajevu i Bosni [The Cult of Female Dervishes in Sarajevo and Bosnia],” ANALI Gazi Husrev-begove biblioteke VII–VIII, 1982, pp. 109–133. von Hammer-Purgstall, J., Geschichte der Osmanischen Dichtkunst bis auf unsere Zeit. Mit einer Blüthenlese aus zweytausend, zweyhundert Dichtern, 4 vols., vol. 3, Pesth [s.n. ], 1837. Hasluck, F.W., Christianity and Islam under the Sultans, ed. Hasluck, M.M., 2 vols., Oxford, 1929. Hillenbrand, C., The Crusades: Islamic Perspectives, Edinburgh, 1999. Huber, M., Die Wanderlegende von den Siebenschläfern. Eine literargeschichtliche Untersuchung, Leipzig, 1910. Ibn al-ʿArabī, Muḥyi ‘l-Dīn Muḥammad ibn ʿAlī, al-Durrah al-Fākhirah, al-Rūḥ al-Quds fī Muḥāsabat al-Nafs, tr. and ed. Austin, R.W.J., Sufis of Andalusia: the Rūḥ al-quds and al-Durrah al-fākhirah of Ibn ʿArabī, London, 1971. Kalabić, M., “Die Tekè des Hadži Sinan, ” Wissenschaftliche Mitteilungen aus Bosnien und der Hercegovina I, Vienna, 1893, pp. 506–510. Kandler, H., Die Bedeutung der Siebenschläfer (Aṣḥāb al-kahf) im Islam. Untersuchungen zu Legende und Kult im Schrifttum, Religion und Volksglauben unter besonderer Berücksichtigung der Siebenschläfer-Wallfahrt, Bochum, 1994. Kecmanović, I., “Hasan Kaimija,” Leksikon pisaca Jugoslavije II, D–J, Matica Srpska, 1979, p. 369. Kemura, Sejh Sejfudin, Sarajevske džamije i druge javne zgrade turske dobe [Sarajevo mosques and other public buildings from the Turkish period], Sarajevo, 1910. Kemura, Sejh Seifuddin and Ćorović, V., Serbokroatische Dichtungen bosnischer Moslims aus dem XVII, XVIII und XIX Jahrhundert, Sarajevo, 1912. Koch, J., Die Siebenschläferlegende, ihr Ursprung und ihre Verbreitung. Eine mythologisch-literaturgeschichtliche Studie, Leipzig, 1883. Lavić, O., “Ulemanska i Šejhovska Porodica Muslihudina Užičanina iz XVII Vijeka [The Seventeenth-Century Shaykh Muslihudin Užičanin Coming from a Family of ʿUlamāʾ and Shaykhs],” ANALI Gazi Husrev-begove biblioteke XXV–XXVI, 2006/2007, pp. 111–128. Lilek, E., “Volksglaube und volksthümlicher Cultus in Bosnien und der Hercegovina,“ Wissenschaftliche Mitteilungen aus Bosnien und der Hercegovina IV, Vienna, 1896, pp. 401–492. Massignon, L., Essai sur les origines du lexique technique de la mystique musulmane, Paris, 1922. Massignon, L., “Les “Sept Dormants”, apocalypse de l’islam,” Analecta Bollandiana, 1950, 245–260. Massignon, L., “Les sept dormants d’Ephèse (ahl al-kahf) en islam et chrétienté,” Revue des Études Islamiques 12, 1954, pp. 61–110. Meisami, J.S., “Introduction,” Niẓāmī Ganjawī, Ilyās ibn Yūsuf, The Haft Paykar: A Medieval Persian Romance, tr. and ed. Meisami, J.S., Oxford and New York, 1995, pp. vii–xxxviii. Moubarac, Y., Le Culte liturgique et populaire des VII Dormants Martyrs d’Ephèse (Ahl-al-Kahf): Trait d’union orient-occident entre l’Islam et la Chrétienté, Rome, Pontificio universitatis Gregoriana, 1961. Mujezinović, M., “Tekija Šejha Hasana Kaimije [The Tekke of Šejh Ḥasan Qāʾimī],” Islamska epigrafika u Bosni i Hercegovini, Knj. I, Biblioteka Kulturno Nasljedje, Sarajevo, 1974–82, repr. 1998, pp. 68–69. Mujezinović, M., “Natpis o Obnovi Hadži-Sinanove Tekije [The Renovation Inscription of the Ḥājjī Sinān Tekke],” Islamska epigrafika u Bosni i Hercegovini, Knj. I, Biblioteka Kulturno Nasljedje, Sarajevo, 1974–82, repr. 1998, pp. 249–256. Mujezinović, M., “Turbe šejha Hasana Kaimije [The Türbe of Šejh Ḥasan Qāʾimī],” Islamska epigrafika u Bosni i Hercegovini, Knj. II, Biblioteka Kulturno Nasljedje, Sarajevo, 1974–82, repr. 1998, pp. 128–131. Norris, H.T., Islam in the Balkans: Religion and Society between Europe and the Arab World, Columbia, SC, 1993. Palavestra, V., Legends of Old Sarajevo, Zemun, 2003. Pennanen, R.P., “All-Comprehending, United and Divine. The Myth of the ilahija Hymns in Sarajevo,” Journal of the International Institute for Traditional Music (IITM), vol. 36/3, 1994, pp. 49–67. Pennanen, R.P., “All-Comprehending, United and Divine. The Myth of Sufi Music as Told by Seid Strik,” Anatolia moderna/Yeni anadolu: travaux et recherches de l’Institut Français d’Études Anatoliennes et de l’Observatoire Urbain d’Istanbul IV, Derviches des Balkans, Disparitions et Renaissances, Paris, 1992, pp. 95–98. Popovic, A., “The Contemporary Situation of the Muslim Mystic Orders in Yugoslavia,” ed. Gellner, E., Islamic Dilemmas: Reformers, Nationalists and Industralization, Berlin 1985, pp. 240–254. Šamić, J., Dîvân de Ḳâ’imî: vie et oeuvre d’un poète bosniaque du XVIIe siècle, Institut Francais d’Etudes Anatoliennes, Paris, 1986. Schimmel, A., Mystical Dimensions of Islam, Chapel Hill, NC, 1975. Schimmel, A. Deciphering the Signs of God: A Phenomenological Approach to Islam, Albany, NY, 1994. Tahmiščić, H., “Legende o Kaimi Babi Hasan Efendiji [Legends of Qāʾimī Baba Ḥasan Efendi],” Poezija Sarajeva, Sarajevo, 1958, p. 84. ʿUšâqîzâde, ʿUšâqîzâde’s Lebensbeschreibungen berühmter Gelehrter und Gottesmänner des Osmanischen Reiches im 17. Jahrhundert (Zeyl-i Šaqâ’iq), tr. and ed. Kissling, H.J., Wiesbaden, 1965. Fig. 1 Ḥājjī Sinān Āghā Tekke in Sarajevo (1047–9/1638–40). Photograph by the author, 2011. Fig. 2 Türbe of Šejh Ḥasan Qāʾimī in Kula Grad, Zvornik, before its destruction during the 1992–95 war in Bosnia and Herzegovina. Fig. 3 The rebuilt türbe of Šejh Ḥasan Qāʾimī in Kula Grad, Zvornik, after its destruction during the 1992–95 war in Bosnia and Herzegovina. Photograph by the author, 2011. Fig. 4 An old linden tree situated next to the türbe of Šejh Ḥasan Qāʾimī. Photograph by the author, 2011. Fig. 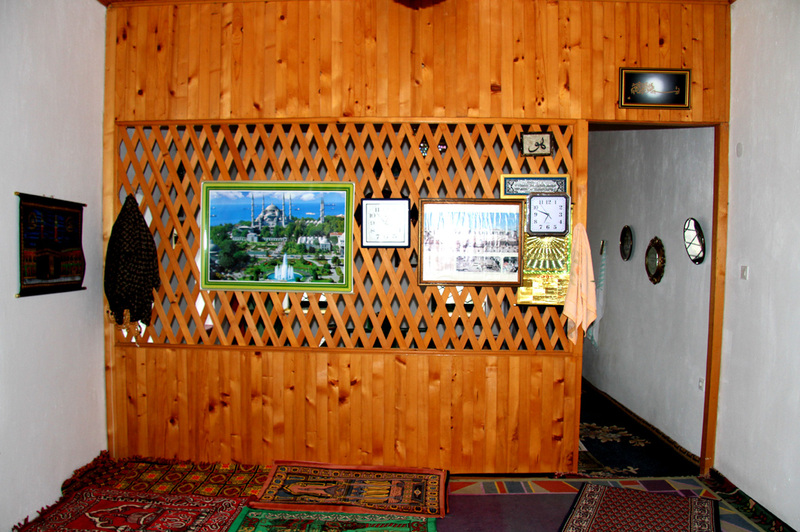 5 New wooden partition in the rebuilt türbe of Šejh Ḥasan Qāʾimī. Photograph by the author, 2011. Fig. 6 New wooden cenotaph covering the grave of Šejh Ḥasan Qāʾimī framed by two simply cut tombstones without inscriptions. Photograph by the author, 2011. Fig. 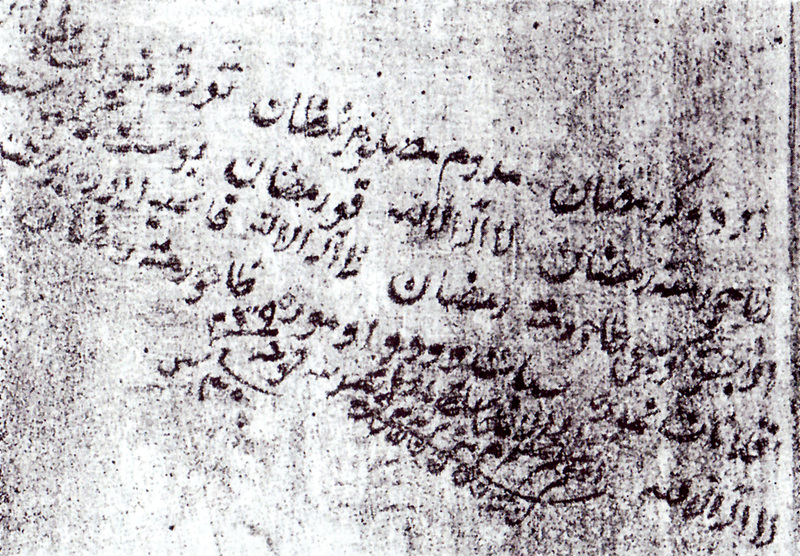 7 Record of Abdulhamid, imām of the Sultan Bayazid (Imperial) Mosque in Foča, dated 30 Shaʿbān 1239/30 April 1824 inscribed on the wooden partition in Šejh Ḥasan Qāʾimī’s türbe. After Mujezinović, 1974–82, repr. 1998, p. 129. Fig. 8 Calligraphic composition of Arabic letters in the form of a sailing boat inscribed on the wooden partition in Šejh Ḥasan Qāʾimī’s türbe. After Mujezinović, 1974–82, repr. 1998, p. 128. Fig. 9 Hiba Šehmedović, one of the two present türbedārs of Šejh Ḥasan Qāʾimī’s resting place. Photograph by the author, 2011. Fig. 10 A battle axe and a halberd-like combat spear displayed in the türbe of Šejh Ḥasan Qāʾimī. Photograph by the author, 2011. The research for this article is part of an eighteen-month research project entitled “Iconographic Expressions of Muslim Mysticism in the Western Balkans” which is generously funded by Dr Seyed G. Safavi, the London Academy of Studies and the International Peace Studies Centre. I would like to take this opportunity of thanking Dr Safavi for his inspired humanitarian vision, his generosity of spirit and thoughtful encouragement. I moreover am greatly indebted and would not have been able to complete this research without the tremendous help and support of Mustafa Arslanović, 25/02/2012. It is said that he spent his solitary retreat (Ar. khalwa, Turk. halvet) of forty days in standing position (ism al-fāʿil, the nomen agentis, of the Arabic qāʾimun), hence the makhlaṣ “Qāʾimī”; Hadžijahić, 1982, p. 123. For a discussion of halvet, see Clayer, 1994, pp. 36–40; also Hadžijahić, 1982, p. 123, n. 48; Šamić, 1986, p. 80, n. 16. Much documentation was lost in the eleventh/seventeenth century, especially at the great fire in Rabīʿ I 1109/October 1697, when Sarajevo was sacked and burnt by Austrian troops commanded by Prince Eugene of Savoy, followed by a bloodthirsty raid. For some of the folk traditions and legends associated with Ḥasan Qāʾimī, see Djordjević, 1930–4, repr. 1984, vol. 2, pp. 129–132. According to one tradition, Qāʾimī was a friend of late seventeenth-century Bosnian poet Gāʾibī Šejh Muṣṭafa as well as the legendary sixteenth-century dervish Gül Baba who is buried in Budapest; idem, pp. 129–130 and ns. 8, 9. Cf. Fekete, L., “Gülbaba,” EI2 II, 1133b. Qāʾimī’s grave is said to be visited by many pilgrims en route to their zijaretgah to Gül Baba’s tomb in Budapest; Kalabić, 1893, p. 508. On Šejh Muslihudin Užičanin, see Lavić, 2006/2007, pp. 111–128, esp. 114. Also ʿUšâqîzâde, tr. and ed. Kissling, 1965, p. 553; Clayer, 1994, pp. 95, 103, 140, 153, 159, 155, 167–168, 185–186, 191, 220, 268. Mujezinović, Knj. II, 1974–82, repr. 1998, p. 128. Cf. Clayer, 1994, p. 155, n. 46. Ekremov, 1933, pp. 30–54. Šamić, 1986, p. 32. The term šejh-mejdan indicates that the shaykh officiates in a tekke and leads the majlis dhikr (ritual practice at a Ṣūfī gathering) there; the distinction between šejh-mejdan and shaykh (šejh) is noteworthy since there are also shaykhs who do not preside over a mejdan (place, i.e. a tekke). Hadžijahić, 1982, p. 123 and n. 47. There are two versions about the foundation of this tekke. One is that it was built by the great merchant Ḥājji Sinān Āghā at the behest of his son, Muṣṭafa Paša, the silāḥdār (“bearer of arms”) of the Ottoman Sulṭān Murād IV (r. 1042/1623–1049/1640), hence the offical name of the tekke was Silāḥdār Muṣṭafa Paša Tekija. According to another version, it was built by Muṣṭafa Paša in the name of his father. Cf. von Asboth, 1890, p. 244; Mujezinović, Knj. I, 1974–82, repr. 1998, p. 249; Šamić, 1986, p. 24; Norris, 1993, p. 108. According to legend, Ḥasan Qāʾimī built a wooden bridge over the river Miljacka, named after him Šejhanija-ćuprija (on the site of today’s Čobanija bridge), which in the course of time was corrupted into Šejtanija-ćuprija (Shaytan (or Devil)’s bridge). Djordjević, 1930–4, repr. 1984, vol. 2, p. 128; Mujezinović, Knj. II, 1974–82, repr. 1998, p. 128; Hadžijahić, 1982, p. 123 and n. 46. Palavestra (2003, p. 25, n. ii) adds that the bridge was originally erected by Čoban Ḥasan and only later on restored by the shaykh. However, according to Hadžijahić (1982, p. 124), Šejh Shāhīn, who succeeded Qāʾimī’s wife as shaykh at Qāʾimī Tekke (see n. 22), was in fact the builder of the Šejhanija Bridge and not Qāʾimī Baba; this can be inferred on the basis of an Austro-Hungarian map, on which the bridge is marked as the bridge of Šejh Shāhīn (“Sheikh Shahin Brücke”). This date is corroborated in the Imperial berāt written in Istanbul of 17 Jūmādā I 1216/26 September 1801, preserved in Sidžil no. 44, p. 32, in the Gazi Husrev Beg Library, published in Bosnian translation in Kemura, 1910, p. 253; Ćehajić, 1986, p. 147. Different dates are suggested for the date of the transformation of the private house into a tekke: 1070/1660 (Kemura and Ćorović, 1912, p. 12; Djordjević, 1930–4, repr. 1984, vol. 2, p. 128; Mujezinović, Knj. I, 1974–82, repr. 1998, p. 128; Hadžijahić, 1982, p. 123) and 1079/1667–8 (Šamić, 1986, p. 25). Kemura and Ćorović, 1912, p. 12. Mujezinović, 1974–82, repr. 1998, p. 68. Bašeskija, 1968, p. 152. See Kemura, 1910, p. 253. Also Norris, 1993, p. 108; Clayer, 1994, p. 155, n. 46. The term was first coined by the Ottoman historian ʿĀşıqpaşazāde (803/1400 – after 889/1484). Hadžijahić, 1982, p. 123. These female dervishes were also known as badžas, djulbadžas, badž-kadunas; see idem. 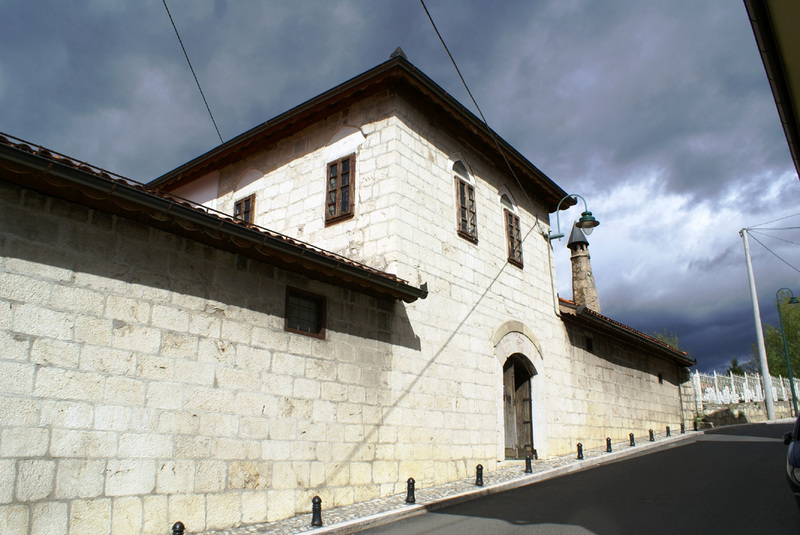 In the area between the tekke and the nearby Muhsinzāde ʿAbdullah Paša Mosque (built by the Bosnian governor between 1133/1721 and 1161/1748; the mosque was renovated in 1206/1792 by Muṣṭafa hādži Bešlija and is still mentioned in a 1227/1812 waqf document) there were three more zijaretgahs: one of the good and educated Delil from Medina, who was buried in the tekke in c. 1184/1780, as well as the graves of the shaykhs Abdulah and Osman. Idem. See Goldziher (1888, repr. 2004, in general, pp. 285–295, 305–325, on female saints, pp. 299–305) for an in-depth description of the characteristics of a walī. Cf. Gramlich, 1987, pp. 58–73. Idem, pp. 123–124. Buturovic, 2005, p. 761. Hadžijahić, 1982, pp. 124, 129–130. The wakīlkhāna of Ḥasan Qāʾimī’s wife also predates Djulbadža’s tekke in Hošin brijeg mahala on the left side of the river Miljacka, which still existed in the first decade of the twentieth century. See idem, pp. 113–114. This tekke comprises two samāʾkhānas, one for men and the other for women, with the wife of the shaykh presiding over the samāʾkhāna for women. 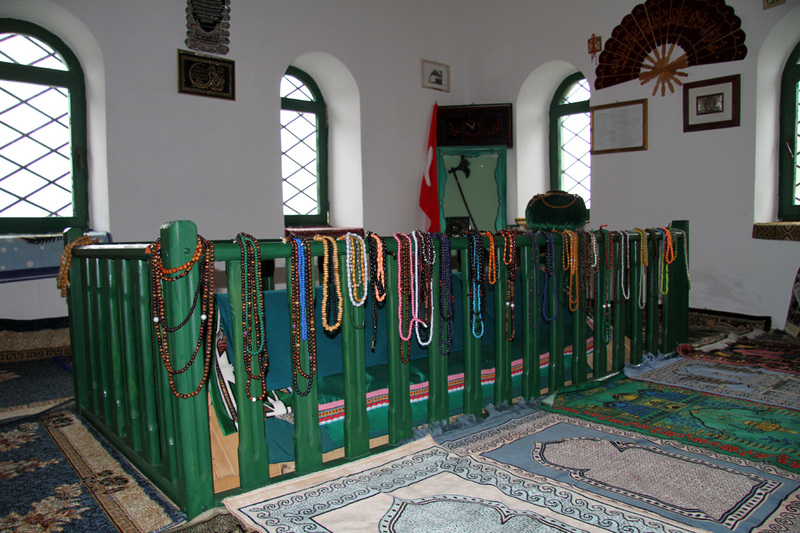 The tekke is located in the ḥarīm of the mosque built in 972/1565 by Hadži Timurhan, the son of Alija. Idem, p. 124. Qāʾimī is said to have been a leader of the famine-driven food riots of the urban poor aggravated by speculative hoarding of the wealthy merchants of Sarajevo; during this riot the mehkjema (Ar. maḥkama, “court”) was attacked and the kādī (Ar. qāḍī, “judge”) Omer and his najīb (Ar. nāʾib, “delegate, deputy”) Aḥmed were killed. See the Imperial berāt of 17 Jūmādā I 1216/26 September 1801 preserved in Sidžil no. 44, p. 32, in the Gazi Husrev Beg Library; Kemura, 1910, p. 253; Kemura and Ćorović, 1912, p. 12; Djordjević, 1930–4, repr. 1984, vol. 2, p. 129; Mujezinović, Knj. II, 1974–82, repr. 1998, p. 128; Šamić, 1986, p. 28. The popular Šejh Shāhīn (“gerfalcon”; whose makhlaṣ is closely related to that of the founder of the Qādiriyya, ʿAbd al-Qādir, known as Basil al-Ešheb (al-Bāzi ‘l Ashhab, “white falcon”); see also p. 7), and who is buried in a small cemetery at Panjina kula (Kalabić, 1893, p. 508), thereafter served as shaykh of the Qāʾimī Tekke; he appears to be incorrectly included in the list of shaykhs that presided over the Ḥājji Sinān Tekke. See Hadžijahić, 1982, p. 124. As stated in the Imperial berāt of 17 Jūmādā I 1216/26 September 1801 preserved in Sidžil no. 44, p. 32, in the Gazi Husrev Beg Library (Kemura, 1910, p. 253), “on the deserted place where the Ḥasan Qāʾimī tekke was located, the benefactor [qāḍī Ḥājjī Muhamed Zihnija] erected a new tekke as well as a new masjid (mosque) next to it, where the shaykh and imām served without income.” In the same berāt it is stated that at some time after 1108/1697 and before 1176/1762–3 the tekke changed the usul (“principle, foundation”) and followed the Naqshbandiyya ṭarīqa. Kemura, 1910, p. 253; Hadžijahić, 1982, p. 124. The Dīwāns of Qāʾimī have been the subject of Jasna Šamić’s PhD thesis, completed at the Université de Paris III, which she published in French in 1986. Braune, W., “ʿAbd al-Ḳādir al-Djīlānī,” EI2 I, 69a. Šamić, 1986, Ġazel IV, pp. 92–93, ll. 1. Eadem, ll. 3–4. The same ecstatic theme is evoked in Murabbaʿa II, III, eadem, pp. 102–103, and Murabbaʿa V.b.3 (II), V, eadem, pp. 124–125. Ritter, H., “Abū Yazīd al-Biṣṭāmī,” EI2 I, 162a. Šamić, 1986, Ġazel II, pp. 84–85, ll. 11. Eadem, pp. 162–163, Qaṣīda, n. 153. Eadem, pp. 162–163, Qaṣīda, n. 157. Cf. eadem, p. 90, n. 20. Eadem, pp. 40, 96–100, 165–166, 177, 189, 211. Eadem, pp. 98–99, Murabbaʿa I, II and ns. I,1 and II,1. Eadem, p. 100, n. II,1. Šamić mistakenly confused here the maqāms of the Qādiriyya with those of the Khalwatiyya. The list of twelve names was enumerated by the late Šejh Hadži Fejzullah efendi Hadžibajrić, the celebrated Qādiri šejh-mejdan of the Ḥājjī Sinān Tekke, who passed away in 1410/1990. Eadem, pp. 98–99, Murabbaʿa I,VIII. Eadem, pp. 164–165, Qaṣīda, n. 167. Brown, 1868, repr. 1968, p. 92 and n. 1. Cf. eadem, p. 234. Eadem, pp. 166–167, Qaṣīda, n. 175. Eadem, pp. 154–155, Qaṣīda, n. 122. See for instance eadem, Qaṣīda, pp. 144–145, n. 72, 148–149, ns. 89, 91, 152–153, n. 115, 154–155, n. 122, 156–157, n. 134, 160–161, ns. 145, 147, 166–167, n. 176. Eadem, pp. 144–145, 152–153, 154–155, 197–198, 211. Djordjević, 1930–4, repr. 1984, vol. 2, p. 129. Idem, p. 127. Fahd, T., “Djafr,” EI2 III, 375b. On Evliya Çelebi’s copious references of the practice of onomancy (Turk. cefr) in the seventeenth-century Ottoman empire, see Dankoff, 2004, pp. 102–104 and ns. 58–60. Eadem, pp. 74–75, Qaṣīda, n. 20. Cf. Gramlich (1987, pp. 38–58) for a concise definition of karāmāt. Djordjević, 1930–4, repr. 1984, vol. 2, p. 131. This reference was given in an account of Hadžijahić’s father Hadži ḥāfīẓ Džemaludin, who died in 1955; cf. Hadžijahić, 1982, p. 124. See however also Djordjević (1930–4, repr. 1984, vol. 2, p. 136) who in 1929 recorded oral legends in Zvornik relating to Qāʾimī and according to which the latter stayed with a family named Djulbegović. A handwritten manuscript of a grammatical debate, of which Qāʾimī’s son was the author, was preserved until 1962 in Qāʾimī’s türbe in Zvornik. In this year the manuscript was presented to Gamal Abdel Nasser, the then president of the United Arab Republic, and is now kept in Cairo. There is however also the possibility that the term “son” alludes here to an evladi menevi (Turk. evlâdı menevi), that is Qāʾimī’s spiritual son. See Hadžijahić, 1982, p. 124 and n. 49. Šamić, 1986, p. 43; on Muṣṭafa Mukhtārī also pp. 34, 41–43, 150–151, 168, 174, 176, 190, 196, 212; on Gāʾibī, pp. 30, 34. Mujezinović, Knj. II, 1974–82, repr. 1998, p. 128. Listed by the Institute for the Protection of the Cultural, Historical and Natural Heritage of Bosnia and Herzegovina as Category 1 monument of Islamic religious heritage sites. Personal communication with Professor Ismet Bušatlić (15 June 2011). Lilek, 1896, p. 446. See also Goldziher (1888, repr. 2004, pp. 349–352) on the tree cult in the veneration of the saints in Islam. In a personal communication with Professor Ismet Bušatlić (15 June 2011) he informed the present author that Mehmed Mujezinović had worked for many years on a detailed investigation of the inscriptions on sections of the wooden screen of the türbe. Sadly Mujezinović passed away before being able to publish his research. After his death his library was sold to the Orijentalni institut u Sarajevu; however according to the librarian, Mubera Bavčić, who was contacted in July 2011, the notes of this article are not part of the Institute’s inventory. There is a distinct possibility that Mehmed Mujezinović’s son, Mustafa Mujezinović, has preserved these records in his father’s house; so far though it has been impossible to obtain more information about the whereabouts of this important study on the graffiti on the partition. This documentation represents a valuable and perhaps unique study of the interiors of Bosnian türbes from the late seventeenth to the twentieth century and serves as an important testimony of pilgrims’ visits to Ḥasan Qāʾimī’s türbe and their veneration, eulogies, commendations and reactions vis-à-vis the seventeenth-century shaykh and poet. Massignon, 1954, pp. 61–110. Also Koch, 1883; Huber, 1910; Hasluck, 1929, vol. I, pp. 310–312; Kandler, 1994. See Massignon, 1950, pp. 245–260 and idem, 1954, pp. 61–110. Cf. Massignon’s reassembled articles in Moubarac, 1961. On the popular veneration of the Seven Sleepers, see also Hasluck, 1929, vol. I, pp. 309–319. Cf. Schimmel, 1975, pp. 104–105. Eadem; Meisami, 1995, p. xxxiii. Djordjević, 1930–4, repr. 1984, vol. 2, p. 136. Eadem, p. 36 and n. 89. Eadem, p. 36 and n. 91. Šamić mistakenly ascribes this tradition to Djordjević (op.cit. ), who however does not mention this folk tradition in his records. Mujezinović, Knj. II, 1974–82, repr. 1998, p. 131 (and illustration of colophon). Birge, 1937, repr. 1956, p. 233. Gramlich (1981, pp. 7–8) describes the use of the tabar during official occasions such as during the visit of a shaykh to the tekke of another shaykh. See also the discussion in idem, 1965, pp. 79–80. Birge, 1937, repr. 1956, p. 236 (no. 9). For discussion of dervish weapons, see Frembgen, 1999, pp. 123–156. Boratav, P.N., “Ilāhī,” EI2 III, 1094a. Bahjat al-ṭāʾifa wa Ṣaum al-qalb, tr. and ed. Badeen, 1999, p. 110. Cf. Hillenbrand, C., 1999, p. 161. Bahjat al-ṭāʾifa wa Ṣaum al-qalb, tr. and ed. Badeen, 1999, p. 110. See idem, p. 110, n. 118; also Ibn ʿArabī, al-Durrah al-Fākhirah, al-Rūḥ al-Quds fī Muḥāsabat al-Nafs, tr. and ed. Austin, 1971, p. 53. The Mathnawí of Jalálu’ddín Rúmí: Containing the Text of the Fifth and Sixth Books and Indices, tr. and ed. Nicholson, R.A., Cambridge, 1925–40. Eadem, Murabbaʿa V.b.3 (II), VI, eadem, pp. 126–127 and n. VI,I. Cf. Chittick, W.C., “Waḥdat al-Shuhūd,” EI2 XI, 37b. Šamić, 1986, pp. 140–141, Qaṣīda, n. 57. Eadem, pp. 150–151, n. 100. Eadem, pp. 158–159, n. 137. It is interesting to contrast these lines with the well known ḥadīth, related to the authority of the second/eighth century saint, al-Ḥasan of Basra: “There will be no Mahdī but Jesus, son of Mary (Lā mahdīya illa ʿĪsā),” which stipulates that the Mahdī is Jesus returning to earth at the end of time; Elmore, 1999, pp. 177–179 and n. 97. Cf. also Gerald Elmore’s careful analysis of the “doctrine” of the great Andalusian Arab mystic Muḥammad ibn ʿAlī Ibn al-ʿArabī (560/1165–638/1240) of Jesus as the Universal Seal of sainthood (khātam al-walāyah al-muṭlaqah) and the dangers this presented vis-à-vis the uninitiated public, hence the mystic’s use of a secret coded script to conceal passages of some of his writings, particularly when he related to this subject; idem, 1999, pp. 3–8, 35–36, 184. The association of the coming of Jesus with that of the Mahdī appears to have been a well known topos of seventeenth-century mystics of the Ottoman world. The contemporary seventeenth-century poet and mystic Muḥammad Niāzī Miṣrī of Brūsa was thrice banished and died in exile in Lemnos in 1111/1699 – in part for his alleged leanings towards Christianity the core of which probably formed his belief in the return of Jesus followed by to the coming of the Mahdī at the end of time; see Brown, 1868, repr. 1968, p. 204 and n. 1. Šamić, 1986, pp. 134–135, Qaṣīda, n. 30.